Steam Valet was invented by Anthony Farris, who needed a better way to steam his clothes. When Tony first discovered steaming his clothes to get wrinkles out. He jerry rigged hangers and used doorknobs and other methods to steam his garments. None of these ideas were easy, efficient nor time saving. So he came up with the Steam Valet to enhance his garment steaming experience. There's nothing else like it, just place two garments on the Steam Valet, a pair of pants or shirt or a blouse and a skirt on the hanger component. 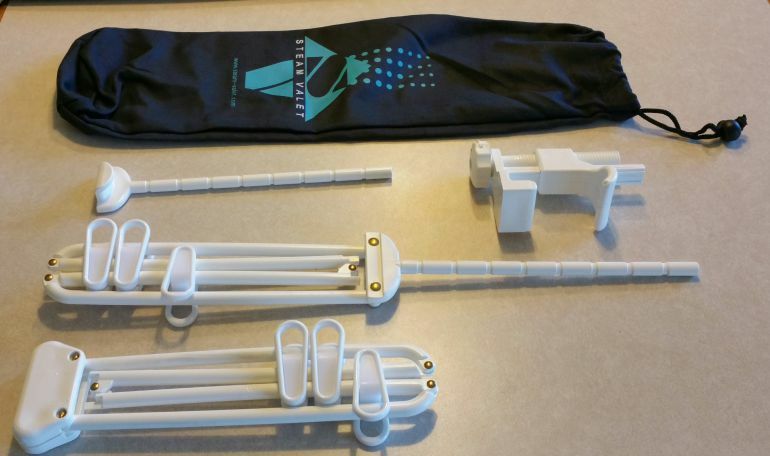 Select the location to secure the clamp ( a door frame or shower rod or bar) Slide the hanger component into the secured clamp, and adjust height for your convenience and begin steaming your garments. 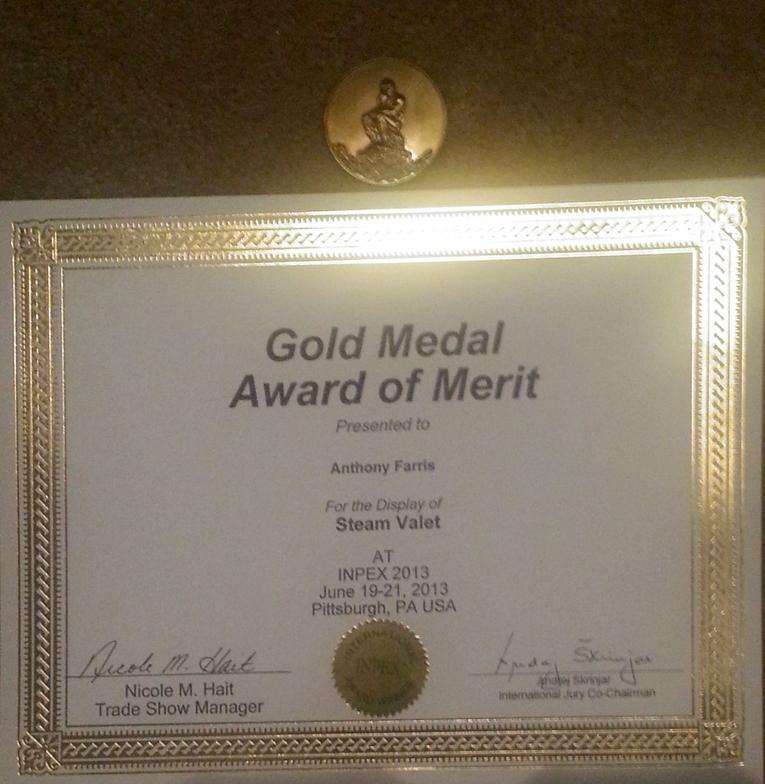 The Steam Valet was awarded The Gold Medal Award of Merit at the 2013 INPEX Inventor's Show in Pittsburgh, PA.
We are planning to take the Steam Valet to market and we are seeking venture capitalist/investors, manufactures and marketing contacts. For more information on our Steam Valet goals and strategy contact info@steam-valet.com.